Not so very long from now, we may look back to this autumn as a turning point for the oil and gas industry on the Norwegian Continental Shelf. Most wait until a new year begins before making predictions, but as a result of Norway’s recent Parliamentary elections, we can take a look at what we think the future might hold. And, as with New Year’s predictions, it’s probably best to tread carefully, as the situation is in flux – a pitfall for all predictions. As Bent Høie, Second Deputy of The Conservative Party of Norway (Høyre), explained last summer during the run-up to September’s vote (SOGM, 7/8 2013), Høyre’s platform included opening Lofoten and Vesterålen for petroleum activity. As a result of the election, the conservative parties are now forming a new coalition government, and as part of the compromise process, developing Lofoten and Vesterålen will remain on hold. Many in the industry are disappointed. The Norwegian Oil and Gas Association feels the decision is disappointing – that the majority has by “run over” by a small minority. The Association points to the election results: in Nordland, Troms and Finnmark, as well as in the municipalities in Lofoten and Vesterålen, there was a clear majority for the parties who want to bring more oil business to Northern Norway. For those who oppose opening these Northern areas, the principal argument is the threat to the environment that oil and gas activities would pose. A legitimate concern – a concern that the industry pays heed to across the entire NCS. No one can afford an environmental disaster, anywhere. If we look to the far North, hardly a week goes by without news of the discovery of additional resources. Gohta and Iskrystall are two recent, significant finds. 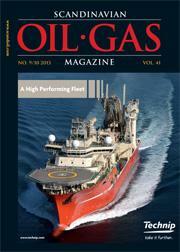 And there are the large fields – Skruugard and Johan Castberg – that are now in the planning stages. The industry has already learned much from working with fields such as Snøhvit and Goliat, as well as facilities such as Melkøya – and these lessons are being put to use planning for the region’s future development. Granted, developing Barents Sea fields such as Skruugard and Johan Castberg won’t be easy. The Arctic climate and distance from shore often means that the operators have decided to go slow with planning due to development costs. And a significant amount of the costs will be to ensure that the environment is protected. At the risk of sounding repetitious – no one wants or can afford an environmental disaster. Despite all the Barents Sea experience thus far, it is still early days in developing the vast offshore Arctic region. We expect exploration news to remain positive – so the potential is there. Existing technologies have already been modified for Arctic conditions, and we expect much more innovation will be brought into play to tame Arctic challenges. Over time, as additional infrastructure is put into place, we should see the momentum increase. And lessons will continue to be learned. Although Lofoten and Vesterålen appear to be “off limits” now, the Arctic lessons we learn in The Barents will add to the toolbox, making the future development in those areas even safer. It’s always interesting to look back and see how reality as played havoc with predictions – but while we are positive that development will move forward, it’s the pace of development that has us concerned. The new government must do all they can to ensure that activity moves forward in the Barents Sea as well as across all the “open” areas on the NCS. Increased support for R&D is one very good driver to help innovation to be commercialised and brought into use. But beyond technology, examining the tax scheme and making adjustments to mitigate the increased cost of developing in extreme areas would go a long way to ensure that both value is created while everything possible is done to protect sensitive areas.